The slightest suggestion of fresh washed linens is added to the scent of healing chamomile blossoms and lavender buds to inspire a restful night of deep sleep and sweet dreams. 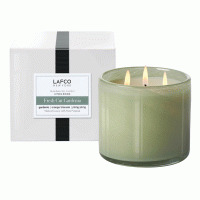 SoyBased Wax and 100% Natural Cotton Wick Oversized Hand Blown Art Glass Vessel Approx 16oz The Lafco House & Home Candle Collection has been designed to complement the ambiance and decor of each room in your home. 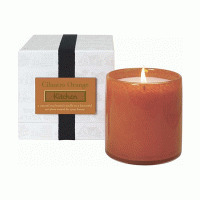 These beautiful and versatile candles can also be moved from one space to another to create your own personal fragrance esthetic.